Prescription drugs: these are subject to the Regulation of the Medicines Act and can only be purchased with a prescription in the pharmacy. The intake must be monitored by a doctor. Why are some medications available for sale? Over-the-counter medicines available at the drugstore are not suitable for curing serious illnesses. On the one hand, the dosage is very weak and on the other no addictive agents or substances that produce strong side effects, are sold freely. The over-the-counter products can be obtained in drugstores, supermarkets and pharmacies. These include dietary supplements, mild flu and cold remedies, gels, ointments and mild discomfort remedies. Why do some medicines require pharmacies? Medicines that contain a reasonable level of side effects and cannot be overdosed, such as mild to moderate pain and cold remedies and many products where it is sufficient to clarify side effects and effects directly in the pharmacy, fall under this category. More information about which medicine can be bought over the counter and licences medicine can be found on the Website of the National Health Service. Buy Potency Without Prescription – is that possible? Potency drugs such as Viagra, Viagra Connect, Cialis, Levitra or Spedra are prescription-only in Britain. This means that if you go to a pharmacy today and want to buy one of the above-mentioned drugs without a prescription, it will not be possible. That’s why thousands of men are looking for ways to buy prescription drugs online without a prescription. It is too uncomfortable to talk about the subject with their urologist or family doctor and many of them do not have the time. That’s why we created Apomeds. At Apomeds you can conveniently order Viagra, Cialis, Levitra and Spedra and their generics, online. The online prescription makes it possible! Thus, you can order prescription potency drugs safe online and receive them, discreetly packaged, and delivered to your home with a prescription. No doctor’s appointment and no more waiting time! Buy prescription drugs online – the online prescription makes it possible! Apomeds will issue you an online prescription. Order Potency drugs like Viagra, Cialis, Levitra and Spedra online, complete an online questionnaire asking for your current health status and be checked by a doctor. Then we will send the prescription drug, discretely packed, right to your door. We care about the well-being of the patient and we can understand how important it is for many men with erectile dysfunction to acquire a sexual enhancer without a prescription and without much effort. Buy Cialis without a prescription? Cialis and their generic drugs still need a prescription, because of the way the drug works. It is subject to prescription because of side effects and drug interactions. Since many men find it uncomfortable to go to the doctor for erectile dysfunction, we have developed a system that allows you to apply for a prescription online, and then send it directly to your home. Discretion: Not every medical detail would you like to tell the doctor. If, for example, you are using sexual enhancers, then you have come to the right place. Your data will be treated confidentially, you will only get to know the doctor virtually, and finally you will receive the medicine, in neutral packaging, sent by post. Prescription Issue after a safe assessment: The questionnaire is tailored to potency drugs such as Viagra, Cialis and their generics and other sexual enhancers and only if you really do not fall into one of the risk groups, you will receive the drug with a prescription issued by a doctor, neutrally packaged by mail. All this serves the safety of our patients. Potency buy online made easy: Your convenience is our priority. You will receive various potency remedies or get a prescription issued by us. Time saving: The ordering process is simple and fast. Within two working days, you have the medication and save the trip to the doctor and the pharmacy. 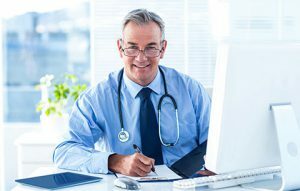 Virtual consultation – it has never been so easy: In the virtual consultation it is clarified, which drugs the potential buyer takes and what diseases or intolerances he has. Our EU-approved doctors are very well trained and responsible. After the virtual consultation has been held and all questions have been answered, the doctor will decide which medicine you will receive. If the result is positive, there is nothing to stop you purchasing power supplements such as Viagra. The doctor will issue a valid online prescription, and you will receive the medication directly to your home. Our highly qualified doctors are also happy to answer questions about dosage, side effects and effects. Conclusion: The advantages of ordering drugs and other medications online at Apomeds are obvious. No annoying waiting at the doctor, no unpleasant questions and no subsequent visit to the pharmacy are necessary. Original and quality drugs and FREE shipping. If you order prescription drugs online always look out for the registered pharmacy sigel and the MHRA regulations.